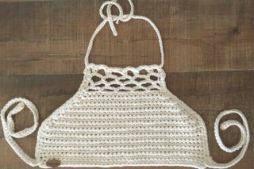 This is a list of free crochet pattern for Crochet Crop tops.These are my TOP 8 picks for this summer season. 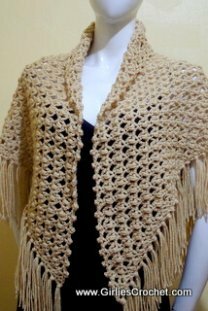 Summer is best spent outdoors and what you wear greatly influences how much fun you will have with all the summer activities. 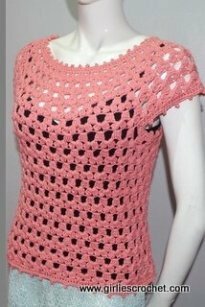 These crochet crop tops will make a fashion statement while you are enjoying your summer activities. 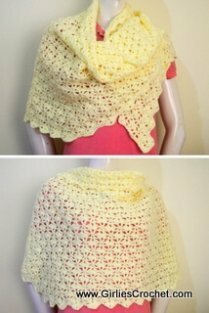 Here are my Top 8 Crochet Crop list that will help you on your crochet journey. 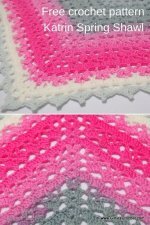 These are easy to follow instructions and some have a photo tutorial. 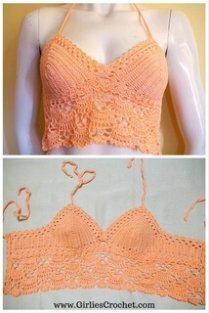 Even beginners can crochet these crop top. 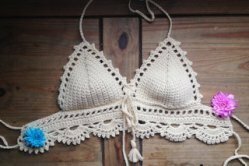 These crop tops are easy to crochet and easy to wear when you're heading to the beach. 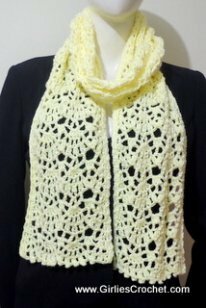 You may get the free pattern HERE. 2. Diamond Mesh Crop Top by Taylor.